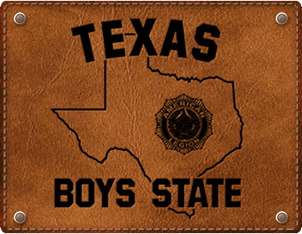 Texas Boys State is a program for qualified high school juniors who take part in a week long educational program at the University of Texas in Austin. Each participant becomes a part of the operation of his local, county and state government. The 2019 Texas Boys State will be held in June 2019 at the University of Texas in Austin. Dates have not yet been set. American Legion H.U. Wood Post 245 will be sponsoring boys who are attending High School in Guadalupe County. Interested juniors can contact the American Legion Post 245 for futher information at post245@seguinlegion.org or by calling 830-379-1079. Your High School Counselors also have information on the Texas Boys State Program. * You must print your on-line registrations and it must be dropped off at H.U. Wood, American Legion Post 245 at 618 E. Kingsbury St., Seguin, Texas. (Hours open: 1:00 pm - 7:00 pm, Monday thru Saturday). * It is mandatory that you attend the Interview/Orientation on February 20, 2019 at 6:00pm or March 5, 2019 at 6:00pm. Parents are invited to attend.